What is the difference between fresh cheese, smear-ripened cheese, white mould cheese, blue mould cheese and hard cheese? And which wine match the cheese? Five different types of cheeses are described below and suitable wines to match these cheeses are suggested. The main difference of the various cheese types is the way the cheese is produced. The taste within each cheese type can vary significantly. It is almost impossible to choose one wine that match all types of cheeses. If you want to serve a cheese platter and just have one wine, then the flavour of the cheeses selected must be quite similar. A suggestion is to choose a white wine with a touch of sweetness. Fresh cheeses include among others Cottage cheese, Mozzarella, Feta, Cantadou, Philadelphia, Boursin, Saint André and Delice de Bourgogne. As the name implies, these cheeses are meant to be consumed fresh, ie within a few weeks after production. Fresh cheese is often mild and creamy with a distinct acidity. Fresh cheese is produced from cow´s milk by mixing fresh milk with sour. After a few days it coagulates and thereafter the whey is filtered off and the cheese ready for consumption. Some fresh cheeses are flavoured with herbs and spices. Some cheeses are stored up to a few weeks after which they get a more tangy character. A good fresh cheese is typically fresh and soft, with a modest creamy taste and a little bitterness. The water content and the fat content are usually high. In the US, fresh cream cheese need to contain at least 33 % fat while in Britain it should be a minimum of 45-65 %. Anything above is considered double or triple cream cheese. But the variety of these cheeses is great, some fresh cheeses are salted, to some cream is added in order to get fatter cheeses, so called double crème (about 60 percent fat) or triple crème (about 70 percent). A dry, fresh and fruity white wine usually goes well with fresh cream cheeses e g wine made of Riesling and Sauvignon Blanc and wines from Chablis or Vinho Verde. Dry sparkling wines are also very good with these cheeses. If the cream cheese has been flavoured, a fruity and flavourful white (e g Chardonnay) or red wine, with soft tannins, may go well. 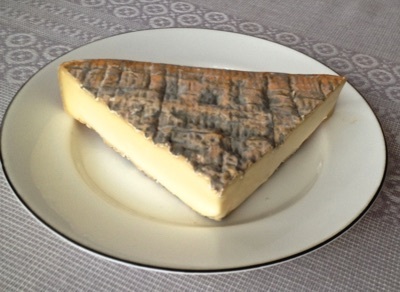 Smear-ripened cheeses include among others Port du Salut, Munster, Chaumes, Époisses, Saint Albray, Vacherol, Langres, Reblochon, Morbier, Tome Basque, Taleggio and Appenzeller. Denmark is known for its smear-ripened cheeses such as Havarti, Danbo, Samsö, Gamle Ole and others. Smear-ripened cheeses can be both hard (such as Havarti or Danbo) or soft (e g Saint Albray and Chaumes). They have a smooth and creamy texture. Depending on the origin and maturity they vary in strength. Some are mild and slightly fruity, others smell of stables and have strong aromas and strong bitterness. Such cheeses are best stored in packaging with tight-fitting lid in the refrigerator. 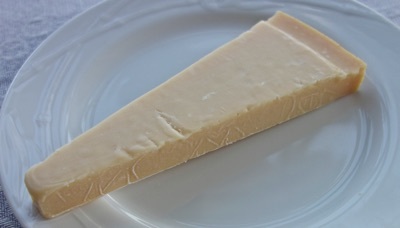 Smear-ripened cheese is primarily made of cow´s milk. They get their typical character by washing with salt water. By treating them in this way and by the added yeast and bacteria culture, a rind on the surface is formed which accelerates and deepens the aromatic maturity of the cheese. This process usually takes between one and four months. Often they get an orange rind naturally but some varieties are coloured with annatto dye or brushed with carotene to enhance the orange colour. The cheeses ripen from the outside and in and are therefore sometimes referred to as surface-ripened. White wine, floral and aromatic, e g wines made of Gewurztraminer, go excellent with this type of cheese, especially with a little crushed caraway as accessory. Wine made of Pinot Gris and flavourful Chardonnay with oak character may also match as well as fresh Pinot Noir with taste of red berries. Other suitable drinks are dry cider and ale. 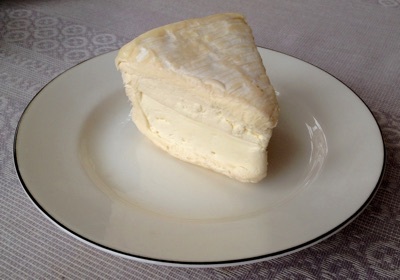 White mould cheeses include among others, Brie, Brie de Meaux, Camembert de Normandie and Brillat Savarin. A common feature of these cheeses is that they are mild and creamy with hints of nuts and raw mushrooms. The aroma is usually fresh with a note of ammonia. Even when the ammonia smell is strong, it does not necessarily mean that the cheese is overripe. The most important factor for the taste is if the cheese has been produced of pasteurized milk or not. A classic Brie made of pasteurized milk is very mild while an unpasteurized Brie de Meaux is much more flavouful with a distinct hint of mushrooms and nuts. Most white mould cheeses are made from pasteurized milk, where the natural bacteria have been removed. This means that you have to spray the cheese with Penicillium Candium mould so that the characteristic rind is formed. If the cheese is made from unpasteurized milk a rind is formed naturally, it will not be as smooth and white as the rind formed on cheeses sprayed, but the cheese becomes much more flavourful. White mould cheeses mature from the outside and in and are ready to eat when the are soft but not runny. White mould cheeses are produced by adding white mould culture to the cheese milk. It takes about 6-9 weeks for a white mould cheese to ripen. The longer it is stored the softer it becomes. To determine if the cheese is ripe, squeeze it gently on the side, not from the top. The cheese should sag and bulge out in the middle. If it has a solid core, it is not yet ready. The aroma of a ripe mould cheese is reminiscent of fresh mushrooms. As soon as you cut a white mould cheese the ripening process stops. Dry sparkling wines or dry cider are suitable drinks. 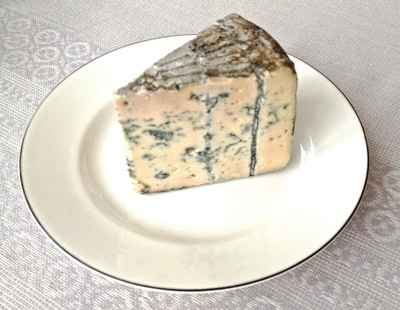 Blue mould cheeses include among others Roquefort, Stilton, Gorgonzola, Sörmlands Ädel and St Agur. They can sometimes be called green mould cheeses and in Sweden also noble cheese. These cheeses are often very salty with intense flavour and much umami and a distinct aroma from the added mould. The texture may range from creamy smooth to crumbly. The cheeses in this group are added another type of mould than the white mould cheeses. Mould culture is added to the cheese milk. After the curd has been salted, often quite a lot, the mould culture is added, e g Penicillium Roqueforti. After that the cheese is punctured to create small, narrow passages, because the blue/green mould needs oxygen to grow. When you look at the cut surface of the cheese you can see where the air ducts have been. These cheeses ripen from the inside and out. A sweet wine or red port wine is the best companion to this type of cheeses. Hard cheeses include among others Västerbottenost, Parmesan, Gruyère, Gouda, Grevé, Herrgård, Svecia, Hushållsost, Prästost, Billinge, Kvibille Cheddar and Wästgöta Kloster. Hard cheese, also called pressed cheese, is often salt with varying fat content. Hard cheeses are divided into two groups, those with gritty texture ("grynpipig") e g Västerbotten and Parmesan and those with large holes througout ("rundpipig") e g Gouda and Grevé. The name Hard cheese or pressed cheese refers to the curd being pressed extremely hard to remove the whey. There is a difference if you press the cheese with the whey or if you press the cheese after the whey has been removed. In the first case there is no natural way for the carbonic acid formed to get out. It has to "blow out" and large holes are being formed ("rundpipig") in the cheese. If the whey is removed before pressing and the curd is stirred, the carbonic acid will be removed easier and only small holes are formed ("grynpipig"). How flavourful the cheeses become is due primarily on how long the cheese is stored. A cheese aged for a long time becomes flavourful, less creamy and the texture more gritty. To a mild and nutty hard cheese a red or white wine, fruity and flavourful will match well e g red wine from the New World or white wine made on oak aged Chardonnay. An aged hard cheese require sweeter wines, sweet wine or red port wine. Parmesan and Amarone is a classic combination.